Odion Ighalo says he was offered the chance to join Barcelona in the January transfer window but turned it down because he “deserves better”. The Nigeria international moved to Changchun Yatai from Watford in 2017 and then signed for Shanghai Shenhua in February. However, he could have been playing at the Camp Nou for the rest of the season but didn’t fancy playing back-up to Luis Suarez. “My agent spoke to me about a loan interest from Barcelona. The club wanted a striker with La Liga experience and someone who understands Spanish football,” he said. ”It was meant to be a six-month loan and strictly as a back-up striker. It was nice to hear that Barcelona were interested and any footballer would be more than happy to take it. ”But with due respect I had just finished as the second top scorer in China with 21 goals, I deserve better and didn’t want to be a short-term player somewhere. 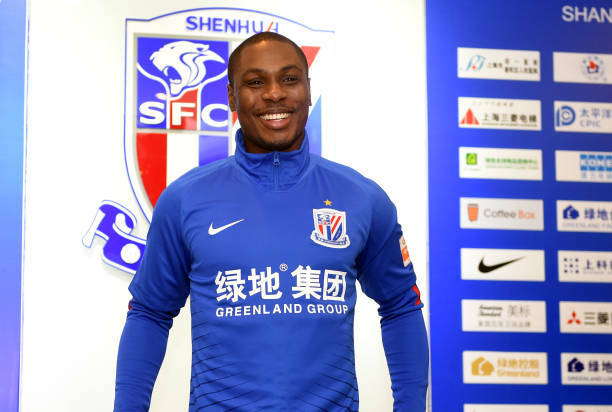 ”We rejected it, it was an easy decision to make and I chose to stay in China by joining Shanghai Shenhua on a longer contract,” Ighalo added. Barcelona ended up signing Kevin-Prince Boateng on loan from Sassuolo, although the deal hasn’t really worked out too well. Boateng’s only made two starts and has frequently struggled to even make the squad.